LPG presents advantages over marine diesel oil (MDO) and heavy fuel oil (HFO) when a VLGC is able to utilize the LPG cargo on board as a fuel. However, safety issues need to be thoroughly examined particularly in relation to potential leaks of LPG in a confined space and the implications for ventilation. It is critical when considering the system design that, in the event of a leak from the fuel system any leaked LPG is prevented from collecting inside the vessel, especially the confined space within the engine room considering the ‘heavier than air’ property of LPG, LR said. 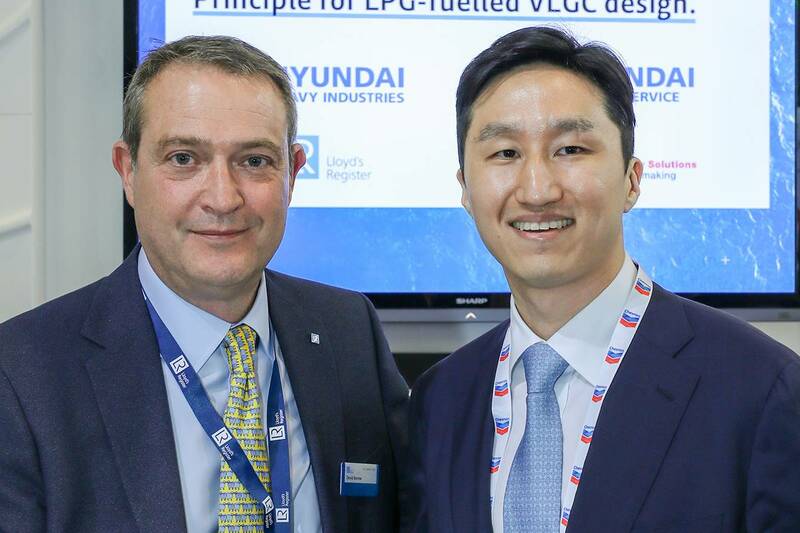 The AiP, which was presented to HHI on Wednesday during a presentation at Gastech – the exhibition and conference for the global gas, liquefied natural gas (LNG) and energy industries in Barcelona, Spain – marks the first time the shipyard has received an AiP for LPG as a fuel design, as per the new IGC code. The development was the result of collaboration between HHI, Hyundai Global Service (HGS) and LR, which facilitated a high-level hazard identification (HAZID) workshop for the LPG fuel supply system and associated ancillaries in accordance with LR’s established ShipRight Procedure Risk Based Designs (RBD). The concept design has been examined in conjunction with the result of HAZID.